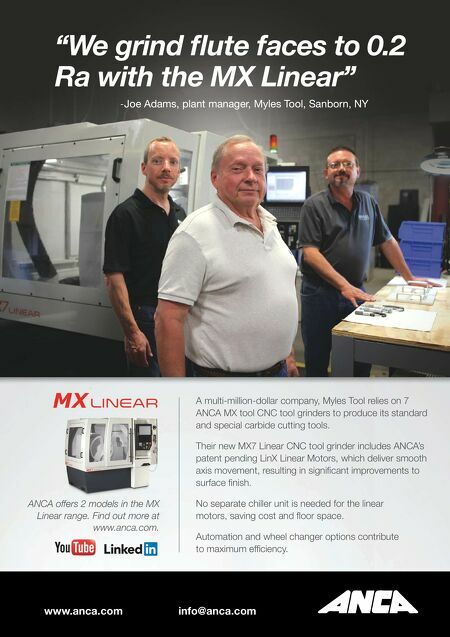 www.anca.com info@anca.com "We grind flute faces to 0.2 Ra with the MX Linear" -Joe Adams, plant manager, Myles Tool, Sanborn, NY A multi-million-dollar company, Myles Tool relies on 7 ANCA MX tool CNC tool grinders to produce its standard and special carbide cutting tools. Their new MX7 Linear CNC tool grinder includes ANCA's patent pending LinX Linear Motors, which deliver smooth axis movement, resulting in significant improvements to surface finish. No separate chiller unit is needed for the linear motors, saving cost and floor space. 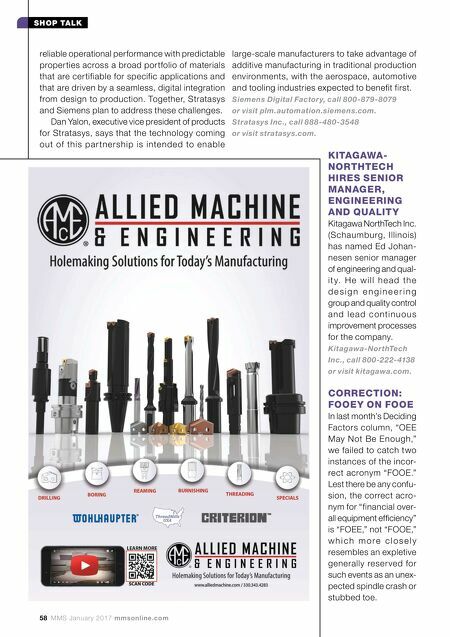 Automation and wheel changer options contribute to maximum efficiency. ANCA offers 2 models in the MX Linear range. Find out more at www.anca.com.